My interest in this CD came about when I was choosing music for my mother's funeral service. She is a Christian who loved life, people, nature, animals and so I wanted to have the song "This is My Father's World" sung. 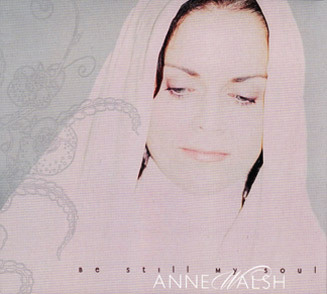 I searched an Internet site with dozens of versions, listened to a sampling of several and found Anne Walsh's version to be just the music I was looking for. It was part of the upbeat celebration of my mother's passing from this world to her eternal heavenly home with her Savior and Lord Jesus Christ. We downloaded the song, enjoyed it at the services and I ordered the CD that includes this beautiful rendition of "This is My Father's World". Now I am enjoying that plus all the other comforting hymns on this remarkable CD.